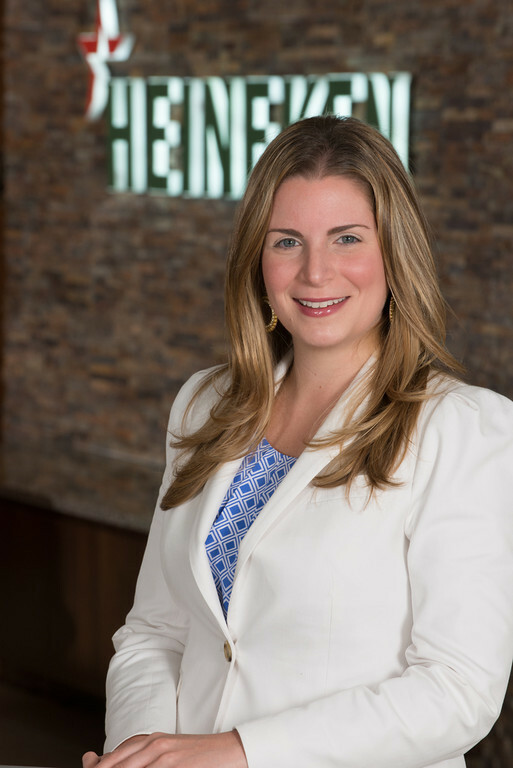 We wanted to share the great news that Tara Rush, SVP, Chief Corporate Relations Officer at HEINEKEN USA (headquartered in White Plains, NY), was just named a 2016 “40 Under 40” recipient by PRWeek. The award from PRWeek honors 40 professionals under the age of 40 who are making outstanding contributions to the communications industry and who are viewed as emerging leaders. These innovators influence creativity and are ideally positioned to guide the industry towards a new horizon. Described as a “dynamic and collaborative leader” with contagious energy, Tara motivates those around her as she finds new ways to elevate HEINEKEN USA. She has raised the profession by embedding a fully integrated team, from marketing to HR and sales to business intelligence. Tara is making renovations to improve relationships and opportunities to advance the profile of HEINEKEN USA’s brands. Tara’s corporate relations team is often recognized as one of the most high-performing teams in the organization. Tara also serves on the board for the Ad Council and The Business Council of Westchester. Tara holds an undergraduate degree from Cornell University where she majored in Consumer Economics. She has an extensive knowledge in consumer marketing and strategic communications. Before joining HEINEKEN USA in 2013, Tara worked at Emanate PR, where she opened the Los Angeles office and worked on the leadership team. Additionally, she was a public relations manager at Mars, where she specialized in their day-to-day reputation management and public relations programming. For more information about PRWeek’s “40 Under 40” awards, please visit: http://www.prweek.com/article/1403831/40-40-2016-tara-rush#BiTOUms0HU343q10.01.